People often ask me what the best project is to start out on as a beginner woodworker. For me the answer is simple: sawhorses. As a young woodworker in England, one of the first projects that carpentry/joinery students are required to complete as part of the National Vocational Qualifications is a set of sawhorses. Of course, as that particular course was designed with carpentry in mind, the sawhorses had splayed legs and were more suited to work on a job site. Still, the purpose was the same. I acquired a few sawhorses and learned skills that I would need for my trade. 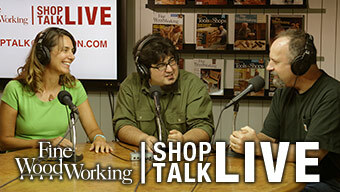 The same benefits can serve a wide range of woodworkers. In my shop, my go-to sawhorses are styled after those that James Krenov made popular years ago. 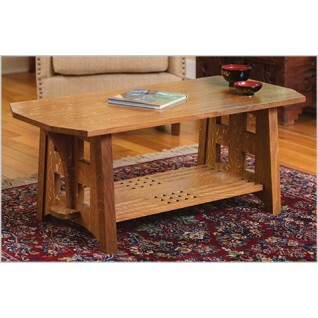 Every studio furniture shop that I worked in over 12 years, from Rhode Island to Texas, had them. There are many reasons why I think they are found so many places. They nestle together well and don’t take up much space when not in use, but when needed, they’re easy to set up. They provide me with several different work stations in my small shop. Since they don’t have splayed legs, they are less cumbersome and don’t get in the way when building. Last but not least, I simply think they are beautiful. 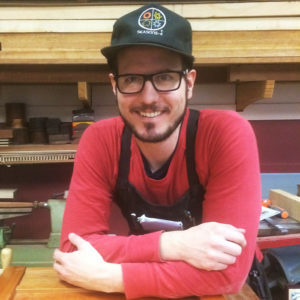 They go with the style of furniture that I like to build—very clean-lined and simple, and I sincerely believe that having beautiful tools in your shop helps you to build beautiful furniture. The wonderful thing about building sawhorses as a beginning project is that they become your first workbench. 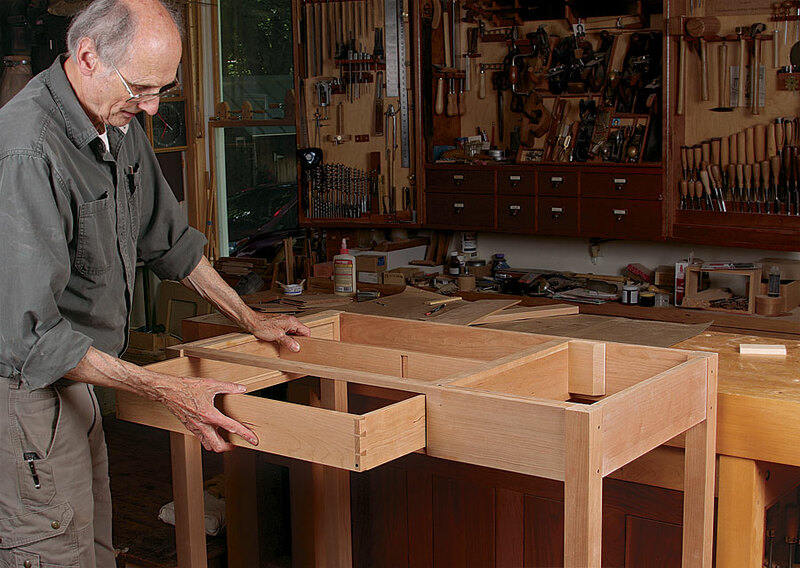 There is an age-old chicken/egg problem that woodworkers face: How do you build a workbench without a workbench? 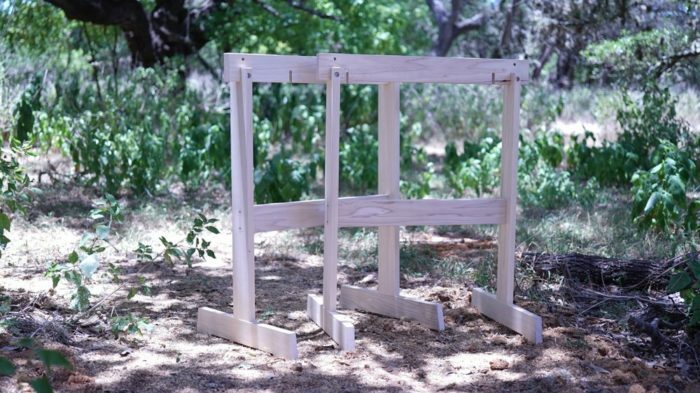 For me, the answer was simple: I built these sawhorses and used them as my workbench. It was just two sawhorses, a few pieces of plywood, and a vise, but it got me where I needed to go. 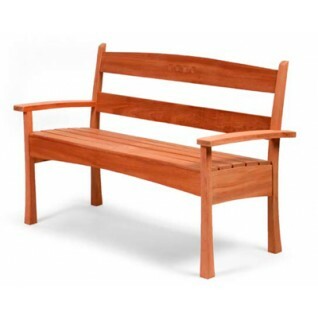 These sawhorses can be easily modified to meet your needs. For example, I recently decided to make the top crossbar interchangeable. The more you use these, the more ways you’ll find to customize them and make the design your own. These sawhorses are definitely challenging but they cover a wide range of concepts essential for furniture making. 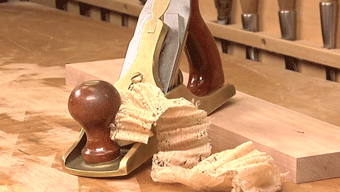 Making them, you’ll go over the simple fundamentals of how to mill lumber accurately, how to dimension, and how to accurately lay out your pieces. 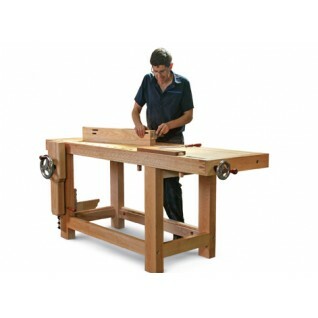 The sawhorses also introduce several techniques in joinery—wedged through-mortises and tenons, blind tenons, and half-lap joinery. 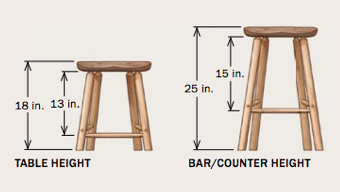 Once these skills have been mastered, your versatility as a furniture maker increases. Long story short, these sawhorses pack a punch for someone learning the craft. Recently, in attempting to come up with a video that would be helpful for beginning to intermediate woodworkers, I came back to this, the first project that I completed as a novice woodworker. The concept behind the video is to give step-by-step instructions on the build, but also to provide plans for those interested. My hope is that for many, these videos will make the concept of building these horses less daunting, and enable them to do the most important thing, get in the shop and build! I just wanted a plan or clear image of the sawhorse. Why? Why does it have to be all videos? Why?